anyone else having errors trying to update the firmware on their node? The new firmware with improved performance is in the middle of validation process, and should be release sometime soon. I just ordered an akitio node today, and it's expecting to come this weekend, and I'd love to see if this issue has been fixed. Run some game benchmarks as mentioned in this thread prior to the firmware update. Then run those same benchmarks after the firmware update to compare. 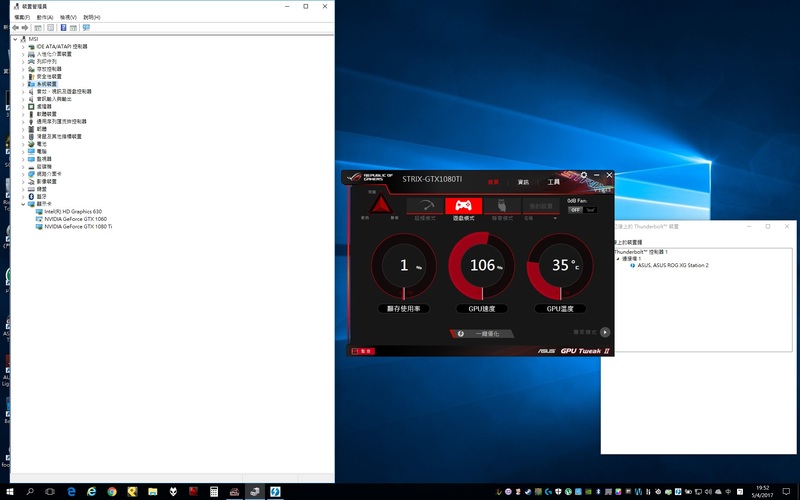 HWInfo64 has a "GPU Bus Load" sensor for my GTX 1070 which I have seen get as high as 20%, so I am guessing it correlates to a x16 PCIe 3.0 connection being 100%. If you have the same sensor on your RX470 its probably a good way to monitor throughput while benchmarking or gaming. Any idea how to update akitio node's firmware on a tb2 host? I just got the Akitio Node today, and i tested its transfer performance before and after firmware update. I ran it on Windows 10 64bit, and my laptop is lenovo P50 (6700HQ and M1000M, TB3 via PCH), and i have a RX470 in Akitio Node. I ran it while using only external display (4K with FreeSync) via eGPU, which i later on considered a mistake. If anyone else is planning to do such test before and after firmware update, i recommend to not use display via eGPU so the bandwidth can be dedicated to speed test. It is interesting to see the differences with "clEnqueueUnmapMemObject()"and "clEnqueueSVMUnmap()"
Below are the outputs before the firmware update. Platform 2 : Advanced Micro Devices, Inc. Platform 3 : Advanced Micro Devices, Inc.
Below are the outputs after the firmware update. Thank you for posting your results confirming AMD RX470 is also affected by the H2D bandwidth bug. Here the OpenCL rather than CUDA interface is used. The latest AKiTiO Node firmware then giving you full bandwidth in both directions. You also have a Lenovo P50 of which we have no existing eGPU implementation guide for. Would you like to submit one for our users to have confidence to proceed with a P50 TB3 eGPU implementation? I have no idea if that is even possible. Perhabs try in bootcamp to install the thunderbolt software that would be compatible with your macbook thunderbolt controller. What you also can do is contact akitio support and ask them if it is possible to even update the firmware trough thunderbolt 2 or with the adapter ? "The Node is compatible only with Thunderbolt 3 PCs running Windows 10, so the firmware utility will only be available for this kind of system, even in the future." Unfortunately we are not allowed to make a FW Update tool for MacOS. This user was able to get it to work in BootCamp on his TB3 MBP. Maybe the same could work on a TB2 MBP. DanKnight, is it possible for you to develop a FW update tool for Linux? I would assume a Mac can be booted to Linux via a USB thumbdrive, and then such a tool can be used there to update the FW. EDIT: While I am at it. How about Linux support in general? Are you involved with Intel on that front as well? The only OS we are allowed to make a FW Update Tool for is Windows. The Node is certified only for Windows, so that is the only environment we can officially provide support. Thanks for the formatting of my post. As for the P50 implementation, everything works out-of-box to me. I did not set any setting or DSDT in this process. 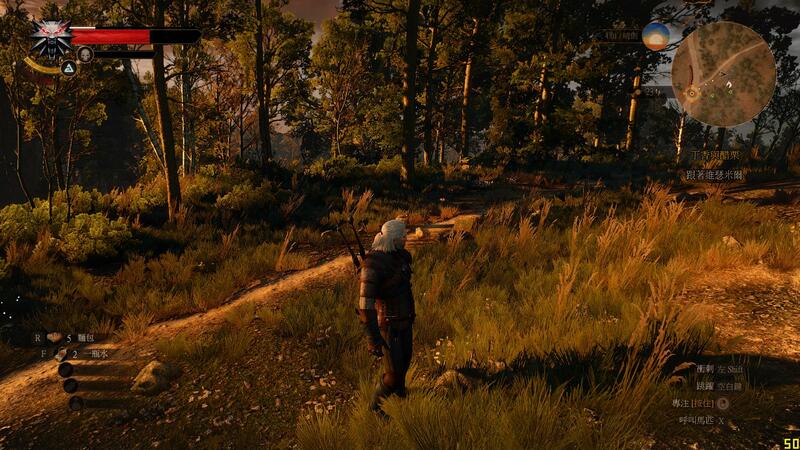 I can try writing some later on once I gather more information in terms of benchmarks and in-game fps. Thanks for the comment, Intel didn't release the FW yet. It means there are still several things to be tested or modified. once it is released or allow to release, we will update the device. How akitio did then? They already released it, you mean it is not with an official intel FW? Intel clearly informed that the FW is still under testing and verification. It is not released yet. And I don't know the others but I do know Powecolor and Asus are also waiting for Intel's final release until now. Nice to know John. We bought your product because we trust you, mantiz' guys. And we know you will do your best to offer the best product out there. Because you listened your customers. I updated the Node firmware to v.25,1 via Bootcamp. I'm running under macOS 10.12.4 on a 2016 15-inch MacBook Pro, with all latest Nvidia and CUDA drivers with Pascal support. I'm seeing lower Host to Device and Device to Host numbers on macOS than people seem to be reporting under Windows. See screenshot. I feel like I'm usually seeing 2000MiB/s and above reported after the firmware update. Any thoughts? Is this even likely to affect GPU CUDA performance? These results compared with mine with a TI82 are very low. Pls run CUDA-Z under Windows and check H2D numbers. Have had a report of lower H2D numbers under macOS than on Windows on the same machine. Sorry dude, I didn't know about it!! There is somewhere in a thread? These are awesome news!! You rock!! Please theitsage, update the FW in your device and publish it, and change the guide to TB3 in green color!! I updated the AKiTiO Node with the latest firmware. The Mantiz Venus will soon be running the latest firmware to remedy H2D speed issue. We've seen comparisons between desktop PCIe vs. eGPU internal display vs. eGPU external display. What about dGPU vs. eGPU in a laptop? Here's your short answer. The performance is virtually the same. Those Alienware 13R3 GTX1060 dGPU versus GTX1060 TB3 eGPU results matching those posted at https://egpu.io/external-gpu-is-it-worth-it/ where a Mantiz Venus was used for testing. Were the eGPU results obtained after a H2D fixed firmware was applied? Is the Alienware 13R3 a 4-lane TB3 device? A CUDA-Z bandwidth result screenshot obtained on the 13R3 would answer both questions. You can't say dGPU have the same performances than the eGPU in general, this is misleading, a bench is not enough to be able to generalize, as i said more than one time now uselessly. Plz since this forum is getting visibility, stop posting benchmark only and post instead as @goalque did, a game benchmark with. I would gift you a game with a bench built bench in for the sake. Then post the benchmark and a couple of games. You bring more solid data. You remove any possibility of further wrong discussions. You feel more professional, since you seems take care of testing and reviewing the adapters. Because it depend witch laptop/macbook you are testing, since not all the laptop use the same pci-e lanes from cpu or chipseet etc etc. For me i would build a test bench and then test the max perfs, like with a TBE desktop and then on specific laptops with specific pci-e config. If you aim is to asses the difference between eGPU and dGPU with the same gpu! Now we finally get into the in game performance that is the main reason people pick up a new video card. From the review i was reading when writing this post, about new RX580 cards! From LANOC site!